Lately I have been going to San Francisco more often than ever before, for fun, conferences, etc… Starting this year I decided to try JetBlue, and I am very happy with my decision. 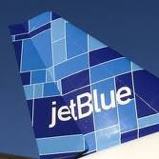 JetBlue offers great service, first checked bag and 36 channels of DirectTV free. JetBlue flies to over 30 destination in the US from Austin, TX, to New York, San Francisco, Chicago, Boston, Las Vegas, etc… to name a few. If you are interested as I am in this offer, you can buy these passes here.